You spend your money wisely – even on indulgences like chocolate. When it comes to signing up for a monthly chocolate subscription, you want to make sure you are getting the best price per pound. 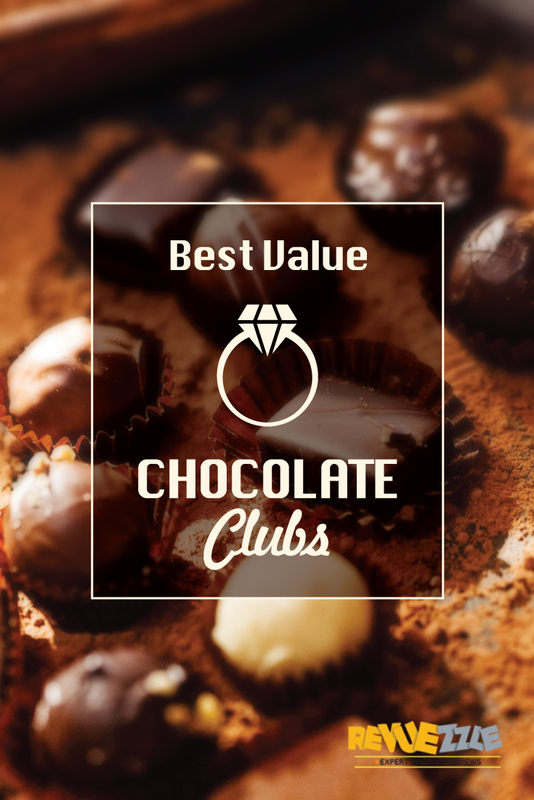 Our list of the Best Value Chocolate Clubs ensures per pound, you get the most chocolate, best quality and maximum reliability – and of course, delightful chocolates to enjoy month after month. Clubs Galore knows fine chocolate and they also know how to deliver a pound of artisan chocolates at the right price. Members will receive small-batch chocolates from excellent chocolatiers each month when they join the Chocolate Club. They do not specialize in anything exotic, but they include fan favorites so you not only get a great price per pound, but you also get chocolates you are guaranteed to enjoy – maximizing your dollar value. The Chocolate Club requires a three-month commitment and the price is $34.99 per month with free shipping. Want more? Don’t be shy and add on another club option from Clubs Galore to fully customize your monthly subscriptions – from wine to brownies and so much more. The Chocolate of the Month Club is just a few cents cheaper than Clubs Galore’s option, but they do not have the same level of artisan chocolates. That being said, they still have an amazing collection that comes straight from their contracted Chicago-based chocolate company. Their chocolates are still delicious and include things like toffee crunch, meltaways, hand-dipped chocolates and rolled truffles. The Chocolate of the Month Club by Clubs of America starts at $34.95 with no contract commitment. You can extend the membership up to as long as a year or just opt for the monthly payments and cancel at any time. Ready to commit? If you are ready to commit to a full year of chocolate, sign up and pay ahead for the 12-month contract and receive $25 off your total with Chocolate of the Month Club by Clubs of America. The Chocolate Lovers Club from Fannie May has one of the cheapest upfront prices – $19.99 per shipment. But, once shipping and handling is added in, you will pay about $36.97 per pound (with some shipments being more than a pound of chocolate). Fannie May has some excellent varieties of chocolate too, including their infamous Pixies that everyone expects to receive from Fannie May. You will need to sign up for the five-month contract for Fannie May, which is $36.97 per shipment after shipping and handling. Want less than three months? There are a few other clubs out there with a minimum of three months or even month-to-month – including some of the clubs mentioned above. Kohlers Chocolate of the Month Club definitely gets you maximum variety – averaging out to about $26.67 for each pound of chocolate you receive. Their chocolates are all from the Kohler brand, which doesn’t mean you are being snuffed. In fact, they make some of the world’s most enjoyed chocolate varieties. There are no long-term commitments to this club, but not every month will you receive one pound. While it averages to a pound of chocolate in longer contracts, you may feel that you are not getting a full pound on average in as little as three months. The Three Month Club starts at $80 for three months with free shipping. If you want to get more variety and ensure you average a pound per month, sign up for the six month which is $150 for six shipments. Want to spread it out over a year? Kohler also has their 12-month contract, which comes out to $275 for 12 months of chocolate deliveries. Visit Kohler - Get This Club!